My table @ the bead bazaar for the 2013 Rochester Gathering. 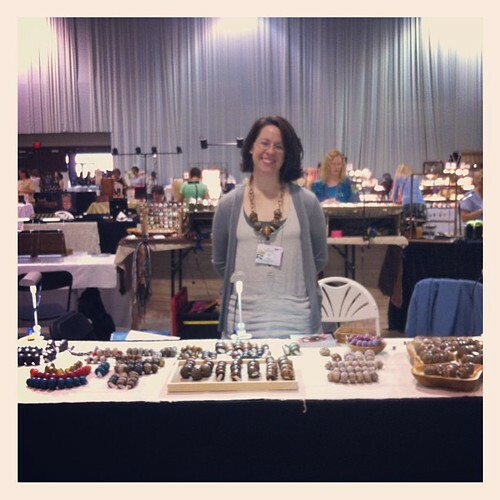 My table @ the bead bazaar for the 2013 Rochester Gathering., a photo by wandering spirit designs on Flickr. Hard to believe it’s been more than a week since I left Rochester for the ISGB’s 2013 Gathering. The bead bazaar was wonderful and got to meet so many wonderful customers and other talented glass artists! ← Finally ready for the Gathering!